Advan advertising is a mode of transit advertising and is a high impact marketing tool, Essex Advan provides advertisers the opportunity to display their brand or business’ promotional message in busy towns and cities this allows engagement with the hard to reach and desirable urban audiences from high streets to local events, this type of demographic is a very important target market to advertisers as it allows for high numbers of viewings which will increase awareness of the advertiser’s brand or business. 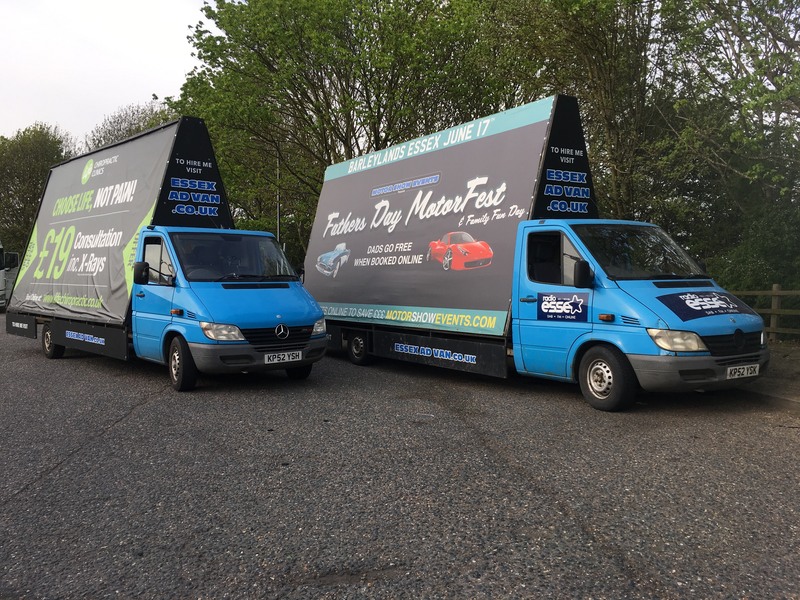 Essex Advan provides impressive public advertising solutions to all advertisers. Our experience and target marketing come into action allowing Essex Advan to get your advertisement into these hard to reach areas, which may not be the case for other forms of advertisements and this will, therefore, allow for your advertisement to be on full display to the public without another advertisement insight allowing for full attention on your exhibit. Whilst offering outdoor advertising campaigns for any client, different forms of advertising are available ranging from a static display advertising to Targeted Travel on pre-determined routes during prime-time traffic periods. Target areas such as music festivals, food festivals, flower shows, carnivals, sporting events will attract audiences at key events. Essex Ad-van was created to provide our clients with an outstanding platform to reach prospective customers. Essex advan delivers complete stand out from the crowd away from the clutter of other billboards “Advan advertising has the potential to reach and engage your audience throughout any chosen timeframe, you can also target your audience at any selected location.“ Your advert, where you want it, when you want it.